“When you visit your local stationers it brings back childhood memories of choosing a new pencil case ready for back to school and it fills your senses with the smell of ink and paper. You can touch, feel, try the stationery and leave with the certain feeling that you’ve received honest, knowledgeable, friendly, personal service. #stationeryshopsaturday is a celebration of your relationship with stationery and your local stationery shop. The joy of choosing a new notebook. The feel and smell of the paper. The knowledge that you’re helping to make your town a nicer place to live and shop by keeping money within your community and supporting local jobs. #StationeryLover – Share a photo of your favourite stationery shop, or a recent purchase. #StationeryShopSaturday – tell us why you’re unique, share a customer review, or share some product knowledge. I’m Sarah and I’m a stationery addict, I’ve always loved stationery from being a small child. 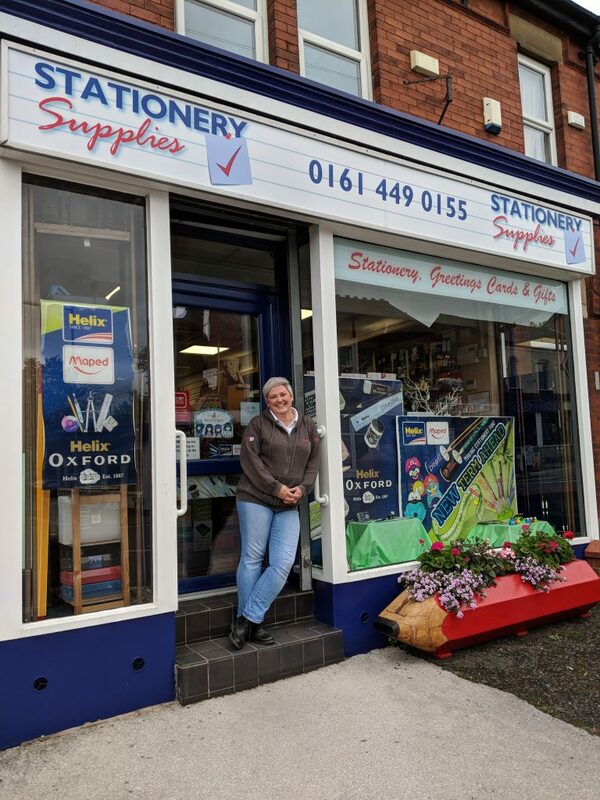 I turned my love of stationery into my dream job in 2005 when I became the proud owner of Stationery Supplies, Marple. Marple is a leafy canal town to the South East of Stockport in Cheshire, with a lovely friendly ‘village’ vibe and an excellent range of independent shops, cafes and bars. Stationery Supplies does what it says on the sign. It’s a veritable Aladdin’s cave of an independent stationery, greetings cards and gifts. We also sell online at www.giraffegifts.co.uk , where we hope to bring to our customers the same experience as shopping in our bricks’n’mortar shop – in-depth product knowledge, personal service and excellent advice.